Akademy is the KDE Community conference. The 2018 edition is from Saturday 11th to Friday 17th August in Vienna, Austria. If you are working on topics relevant to KDE or Qt, this is your chance to present your work and ideas at the Conference. The days for talks are Saturday and Sunday, 11th and 12th. The rest of the week will be BoFs, unconference sessions and workshops. The goal of the conference section of Akademy is to learn and teach new skills and share our passion around what we're doing in KDE with each other. For the sharing of ideas, experiences and state of things, we will have short Fast Track sessions in a single-track section of Akademy. Teaching and sharing technical details is done through longer sessions in the multi-track section of Akademy. If you think you have something important to present, please tell us about it. If you know of someone else who should present, please encourage them. For more details see the proposal guidelines and the Call for Participation. The submission deadline is 12th March, 23:59:59 CET. 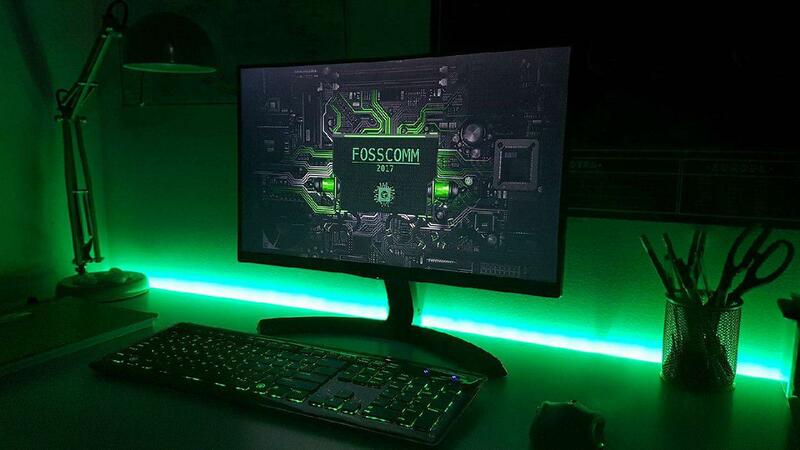 Source: Official FOSSCOMM Facebook page. On the 4th and the 5th of November, the FOSSCOMM 2017 conference took place at Harokopio University of Athens, Greece. The KDE Community had a presence at the conference. 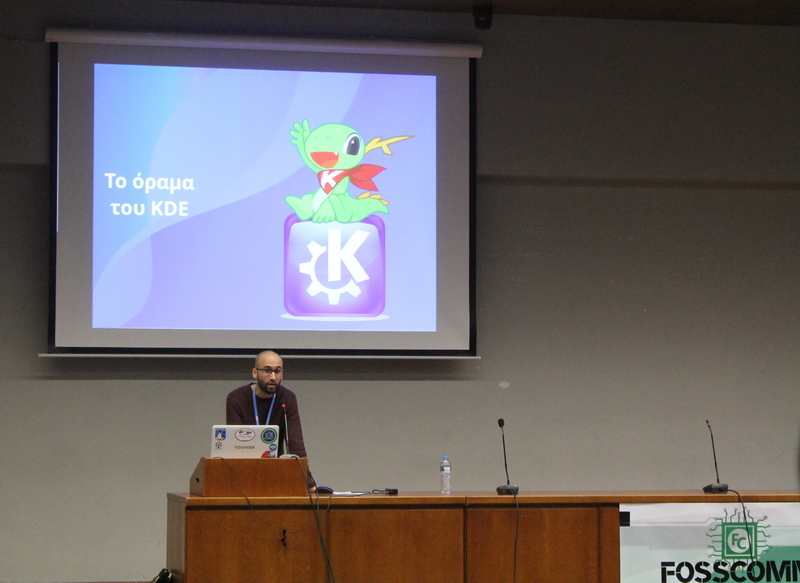 Our Greek troops gave a talk on Sunday about the past, present and future of KDE, focusing on the vision of the community. FOSSCOMM (Free and Open Source Software Communities Meeting) is an annual conference about free software organized by the Greek Free Software community. The main purpose of the conference is the promotion of free software, as well as social interaction between community members. During the first weekend of November, a great number of free software contributors and advocates gathered in Athens to discuss many interesting topics related to free software and open standards. In addition, several Greek software communities promoted their work and values at the booths and by hosting workshops. The conference was a success, since a lot of people participated in various conference activities, confirming the significant impact of freedom and openness to the Greek society, especially among young people. Throughout the weekend, our KDE Community members talked about KDE-related topics, especially at the Nextcloud booth. We also sought out actions that could promote the KDE Community in Athens. On Sunday afternoon, we gave a presentation about KDE in the main amphitheater of Harokopio University. After listing the milestones from the 20 years of KDE history, we defined what KDE represents today, and briefly presented the software that the KDE Community creates. Afterwards, we analyzed KDE Vision. We discussed the reasons that led to its creation and the purpose that it serves, focusing on the social impact of our work and our community values. 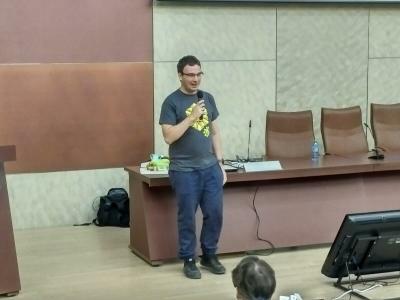 Then, after mentioning Plasma’s vision and familiarizing the FOSSCOMM audience with Plasma’s approach of “convergence”, we introduced Plasma Mobile as well as Kirigami’s human interface guidelines. You can find the slides from our presentation here. 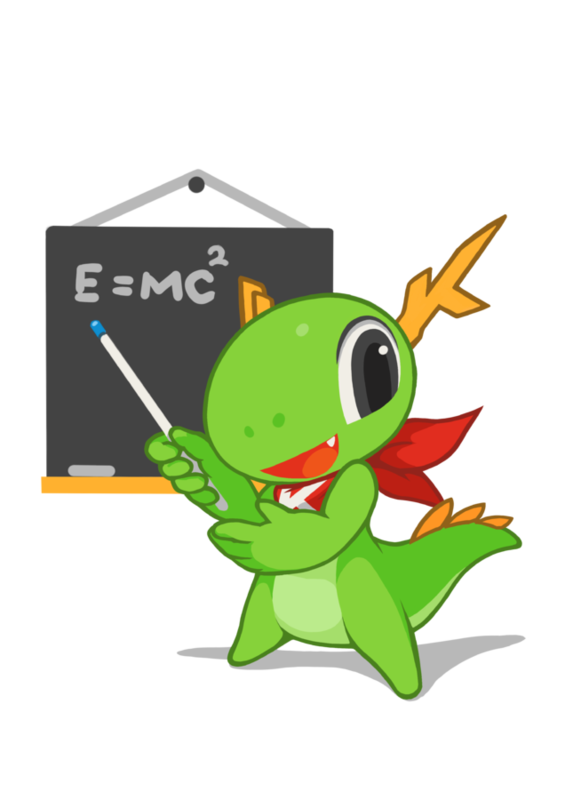 Regarding our initiative to improve the impact of KDE in Greece, we created the KDE el Telegram group . Before concluding our talk, we suggested to everyone interested in KDE values and Plasma software to participate in the newly created group. We hope that this communication channel will constitute a starting point for the KDE Community in Greece to come together, communicate their contributions, and promote KDE and free software in general. If you speak Greek and you care about free and open source software, you're welcome to join! 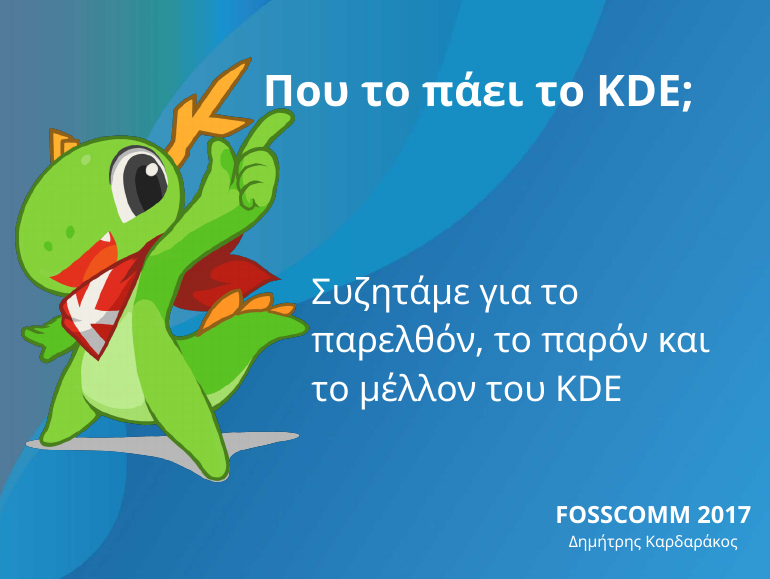 Inspired by this post and by the creation of the Telegram group, several Greek-speaking KDE users and contributors decided to collaborate on developing a stronger KDE community among the Greek-speaking audience, and further promote KDE's work. After a fruitful discussion, the team decided to facilitate participation from additional media that correspond to our values, as this can help in reaching a wider community. As a result, we created the 'kde-el' Matrix room. The existing kde-el Freenode IRC channel is now bridged to both the Matrix and the Telegram groups. Just choose the one you prefer! For more details, see the official announcement from our team. Although the turnout on Sunday was not as high as on Saturday, many students, contributors and free software enthusiasts attended our talk. Since the timeline was quite strict, there was no time for questions from the audience. Nevertheless, the impact of our talk was quite positive, since several people approached us looking for more information about the material we presented. According to the feedback from attendees, the decision to introduce a privacy- and freedom-oriented mobile paradigm seems to be more than welcome. Participating in meetings like FOSSCOMM is quite helpful for KDE as well as for the free software community in general. Talking with people from different communities, getting introduced to interesting open projects, and envisaging a world of freedom is always a revitalizing and encouraging way to keep going! Finally, we would like to thank FOSSCOMM volunteers and organizers for being so helpful and managing to host quite a successful event. See you at FOSSCOMM 2018! everybody to help improve KDE. KDE Student Programs is pleased to announce the 2018 Season of KDE for those who want to participate in mentored projects that enhance KDE in some way. Every year since 2013, KDE Student Programs has been running Season of KDE as a program similar to, but not quite the same as Google Summer of Code, offering an opportunity to everyone (not just students) to participate in both code and non-code projects that benefits the KDE ecosystem. 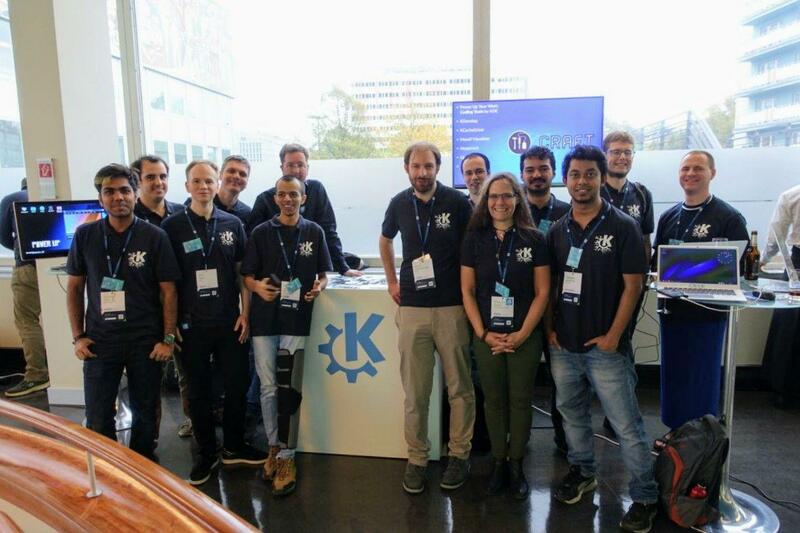 In the past few years, SoK participants have not only contributed new application features but have also developed the KDE Continuous Integration System, statistical reports for developers, a web framework, ported KDE Applications, created documentation and lots and lots of other work. For this year’s Season of KDE, we are shaking things up a bit and making a host of changes to the program. The 2018 Season of KDE will have more flexible schedule options for participants. They will now have the opportunity to choose between a shorter sprint project where the working period lasts 40 days or the usual full duration project with a working period of 80 days. For the first time, we are now welcoming applications from teams of up to 2 people to participate in the same project. Teams may only participate in full 80-day projects. Shorter sprint projects are still only open to individual participants. Do you want to see KDE software work well on other operating systems? Do you want KDE applications to integrate better with another desktop environment? Do you want to see applications from elsewhere integrate better with KDE? In the 2018 Season of KDE, we are specially looking out for projects that can help integrate KDE better with other free software projects. We welcome mentors from other projects who’d like to help our participants in their efforts and encourage applications from participants who’d like to work on such a project. Participants will need to have a fairly reasonable grip on both KDE and the partner organisation’s projects, as well as a point of contact in the other organisation that can offer support throughout the duration of the project. If you are from another FOSS Project, have a concrete idea of something SoK participants can implement and would like to mentor them for it, please get in touch with us directly. The 2018 Season of KDE will accept a maximum of 6 projects. We will score each project based on objective criteria, and after completion of the project, the one with the highest score will win this year’s Season of KDE. The participants from the winning project will have a chance to attend Akademy 2018, KDE’s annual world conference, which will be held in Vienna from August 11th - 17th, 2018. All travel and stay expenses will be paid for by KDE. At Akademy, you will have the chance to meet people from all around the world who make KDE possible, present your project to them, mingle with some of the brightest minds in the world of free software, and lose yourself in one of Europe’s historic centers of music and culture. Prospective participants are advised to get in touch with us even before the application period begins to discuss possible projects. You can connect with us at #kde-soc on IRC, via our mailing lists, or contact the maintainer of an application you want to work on (or the specific team) directly. If you’re looking for project ideas, you can find some on our Google Summer of Code 2018 Ideas Page. Prospective mentors are requested to add ideas to this page, so that we have a central repository of project ideas that may be used for both the 2018 Season of KDE and GSoC 2018. Participants and mentors can apply here once applications open. Vienna Calling! This is not only a song by the famous Austrian singer Falco, but could also be the motto for next years Akademy. In 2018 Akademy will be held at the University of Technology (TU Wien) in Vienna, Austria, from Saturday 11th to Friday 17th August. Akademy 2018 is being organized with Fachschaft Informatik (FSINF). 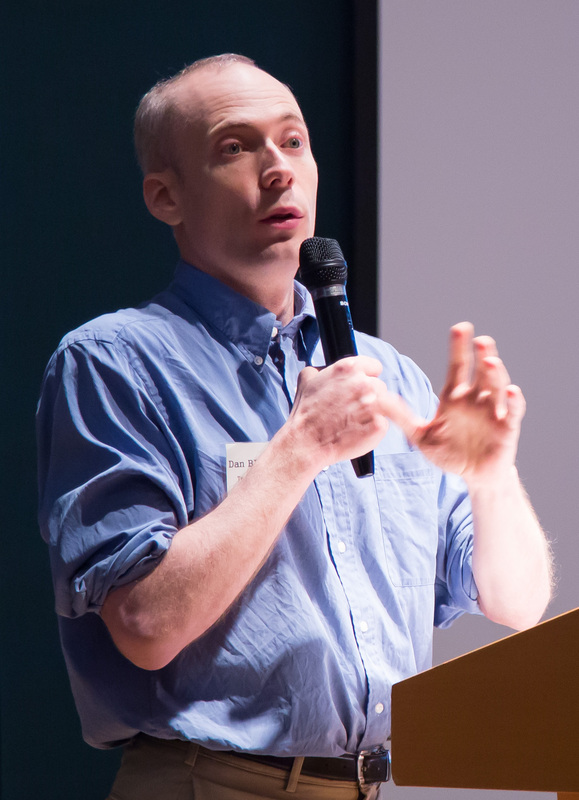 Apart from representing and counseling computer science students, FSINF engage in diverse political activities, such as FOSS activism, privacy and social justice, and so on. Akademy 2018 will start with a 2-day conference on Sat 11th of August and Sunday 12th of August, followed by 5 days of workshops, Birds of a Feather (BoF) and coding sessions. 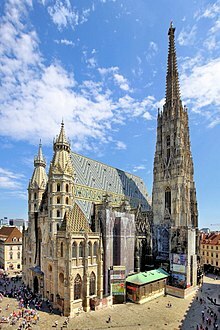 Vienna, the capital of Austria, has around 1.8 million inhabitants. It is located in the middle of Central Europe, on the banks of the river Danube. With it's rich history that stretches back to Roman times. It was once the capital city of the Habsburg Empire ans is now a modern city, rated number one in diverse studies on quality of living. Almost all buildings of TU Wien are very close to the city center. From the venue a 10 minute walk will bring you directly to the inner city. Around 30,000 students study at Tu Wien, of which 6000 study Computer Science. For most of the year, KDE—one of the largest free and open software communities in the world — works on-line by email, IRC, forums and mailing lists. Akademy provides all KDE contributors the opportunity to meet in person to foster social bonds, work on concrete technology issues, consider new ideas, and reinforce the innovative, dynamic culture of KDE. Akademy brings together artists, designers, developers, translators, users, writers, sponsors and many other types of KDE contributors to celebrate the achievements of the past year and help determine the direction for the next year. Hands-on sessions offer the opportunity for intense work bringing those plans to reality. The KDE Community welcomes companies building on KDE technology, and those that are looking for opportunities. For more information, please contact The Akademy Team. The motto of our space at QtWS this year has been "Power up!". We put it into practice in more than one way and in the most literal of senses. First we designed our allocated space so that attendees could come, sit and relax, and recover their energies. 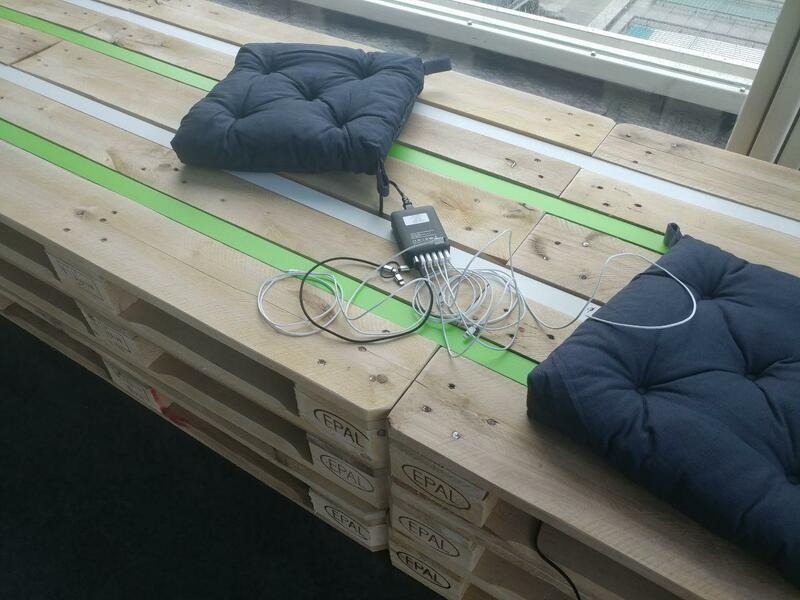 We made sure there was ample sitting space with comfy cushions in an open and informal atmosphere. We also wanted to make it easy for visitors to power up their devices, so we placed plugs and USB charging stations all over our booth. Our visitors came, sat, chatted, re-charged their bodies, minds and devices, while at the same time finding out why KDE is the driving force behind many a software project. This turned out to be winning idea. A lot of people came by the "Power up!" space, and the buzz gave us the chance to demonstrate exactly how KDE could also power up their software and hardware projects. Many still perceive KDE exclusively as the creator of a desktop, but, at the ripe age of twenty, KDE is much more than that. Twenty years of development means that KDE has made many different kinds of software. Primary device UI, end-user apps, communication apps, business apps, content creation apps, mobile apps, and on and on. This means we have had to solve many problems and create many libraries in the process. 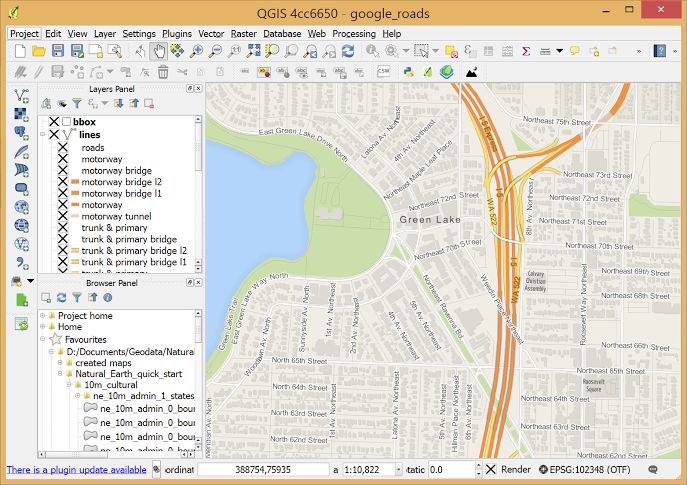 Our libraries complement Qt and are very easy to use by any Qt-based application. Many have few or no dependencies aside from Qt itself. These libraries are free to use and licensed in a way that is compatible even with commercial apps. They also run on many different platforms. To leverage all the libraries and frameworks we have created, we have also built many development tools, including a full IDE that supports both static and dynamic languages (KDevelop), an advanced editor especially designed for developers (Kate), debugging tools (Kdbg, Massif Visualizer), etc. They all support Qt and C++ and again run on a variety of platforms. Nexus 5x at QtWS 2017. Our most valuable asset is our community. The KDE community is the real power behind KDE's projects. The community fosters personal and professional development, helping programmers become better Qt developers in a welcoming environment. Also, just by contributing to KDE, you get to help us decide where we should take our projects next and help us keep KDE code up-to-date and secure. To prove our point, we had on display two examples of how KDE powers much more than desktop devices. We showed off the Pinebook running Plasma Desktop. The Pinebook is a low-cost ultra-netbook (only $99 for the 14'' version) built around the Pine, an ARM-based 64 bit single board computer -- similar to a the Raspberry Pi, but more powerful. The Pinebook is not only a good example of a cheap machine you can take anywhere, but also of how KDE technologies can provide a full-fledged working environment on all sorts of devices. To drive the matter home even more, visitors were also able to play with Plasma Mobile, our environment for smartphones. Plasma Mobile has been in the news recently thanks to the fact that Purism, manufacturers of high-end laptops that come with Linux pre-installed, and KDE have agreed to work together on the Librem 5, an open and privacy-respecting smartphone. 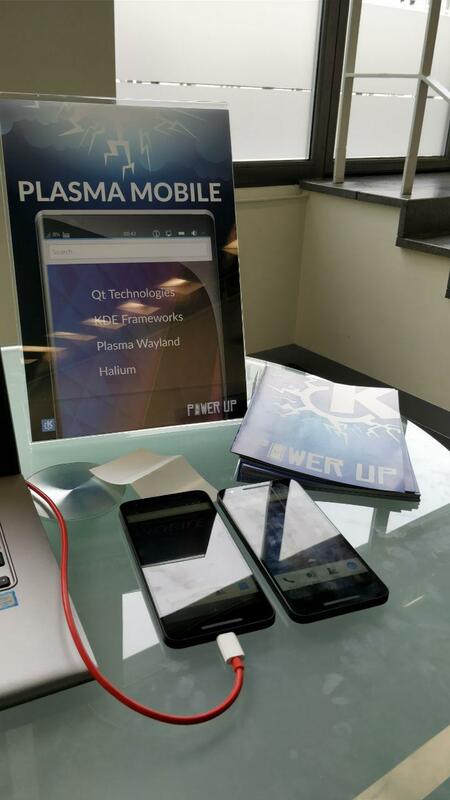 As the Librem 5 hasn't been built yet, at QtWS 2017 we showed how Plasma Mobile works fine on an off-the-shelf device; in this case, a Nexus 5x. Plasma Mobile running on an actual device is living and breathing proof of the power KDE delivers to developers. Thanks to Halium, for example, you can sit different graphical environments (including Plasma Mobile) on top of an Android base, and Halium will manage communication between the graphical environment and the kernel. Then we have Kirigami, a framework that helps developers create apps that will work within all sorts of environments, not only on the Plasma Desktop. With Kirigami, you can deliver apps to the two Plasmas, Desktop and Mobile, Windows, MacOS X, Android, and iOS. These powerful technologies are developed and maintained by KDE, and are examples of how KDE can power up your projects. The 2017 edition of Akademy was held in Almería, Spain. Starting officially on the 22nd of July and ending on the 27th, the weekend was dedicated to talks, as is customary. The rest of the following week, from Monday to Thursday, was dedicated to workshops and BoFs — Birds of a Feather — sessions in which community members interested in the same things meet and work together. This year's event attracted over 110 attendees. Attendees traveled mainly from Europe, but also from North and South America, and Asia. 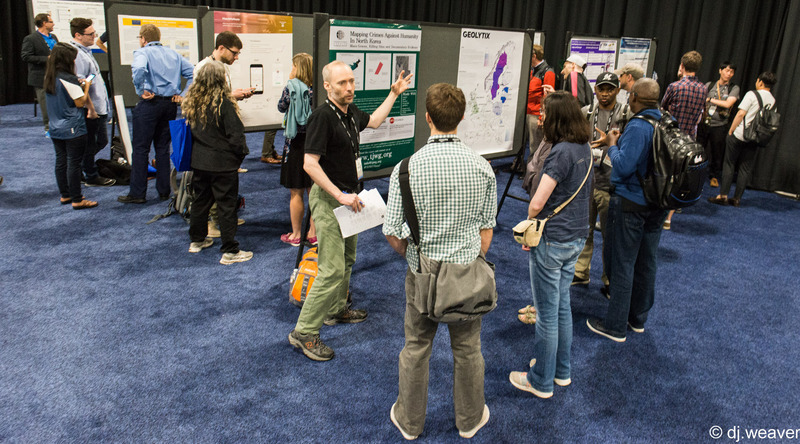 Over the weekend, visitors were able to attend over 40 different talks on all kinds of topics, ranging from developing applications for mobile phones to best ways for collaboration between communities. From Monday to Thursday, Akademy was dedicated to BoFs and workshops where a specific topic or area is focused on. For most participants, this part is a primary motivation for attending Akademy, since it gives them the chance to sit down with their colleagues in the flesh. They can discuss and code together without having to relay messages over email or IRC. Each day attendees met, discussed, and worked side by side, pushing KDE forward. One of the hottest topics was Plasma. Plasma is KDE's graphical desktop and mobile environment. Dedicating a large chunk of the meetings to Plasma makes perfect sense. Although most KDE apps work on a wide range of platforms (including Windows, MacOS and Android), the first platform KDE developers would want to target is their own. With as much time dedicated to mobile frameworks, such as Kirigami and Halium, as to Plasma on desktop computers, it is clear the developers are very seriously committed to the effort of taking over smartphones and breaking the Android/iOS duopoly. KDE developers know very well that a rich software catalogue is essential to attract end users, hence many of the talks and BoFs where dedicated to app development. There were slots on how to port applications to the upcoming Wayland display server protocol which, like winter, is definitely coming someday. Aleix Pol dedicated time to explaining how developers could package apps for Flatpak, a universal packaging system for all GNU/Linux distributions. Scattered throughout the week were also several sessions and talks about QML, Qt 3D, and other KDE-related technologies. As for the steps the applications should actually go through — from concept to working utility on the desktop or your phone's screen — during Akademy 2017 the community reached an agreement on the new Applications Lifecycle Policy. 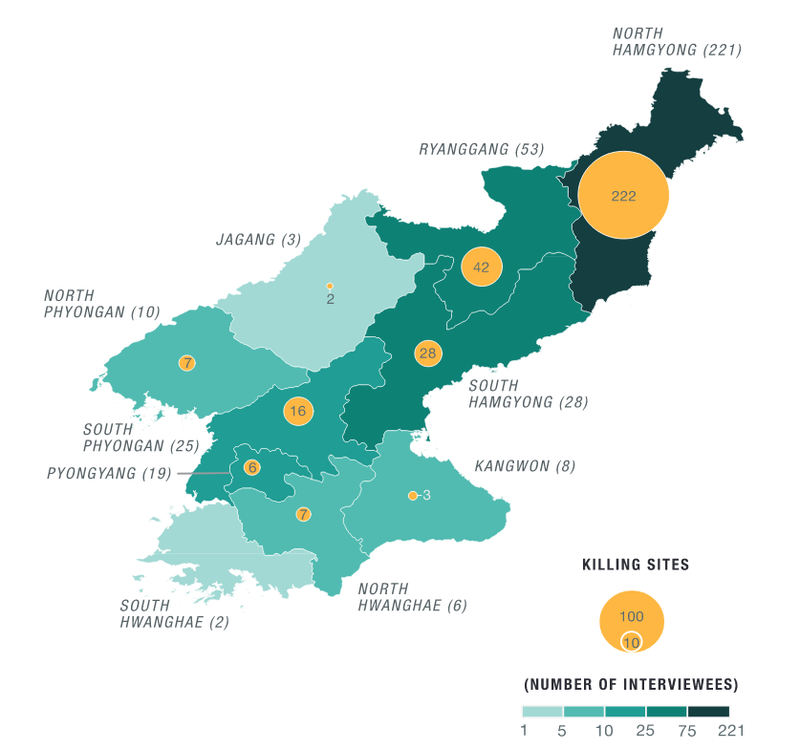 The overhaul of this policy had already been discussed at some length on KDE's Community mailing list, but the conversation hadn't reached a satisfactory conclusion. However, a few hours of face-to-face negotiation led to an acceptable solution which Jonathan Riddell announced on Wednesday in the half-day wrap-up session. Your browser does not support the video tag, download Wednesday wrap-up video. "[D]efines how projects enter KDE, which is either through Incubator for projects which started outside KDE, or just starting it in Playground. It defines the sort of things that get reviewed in KDEReview and it explains how to choose where to put the application, (Frameworks, self released, Applications, Plasma) which in turn defines how and when it gets released. Finally, it defines options when a project is no longer useful: either ask the Gardening team to update it or move it to unmaintained." On the non-technical front, there were all-important discussion on how to make KDE technologies more accessible to end users, and how to make the community more open to potential contributors. Improving communication aimed at non-technical users, reaching out and cooperating with other communities, and implementing policies that promote inclusiveness were some of the areas participants pledged to work on. This was another solid Akademy. Knowledge was shared, agreements reached, and code got written. Even though the KDE community discussed a wide variety of topics, there was clearly a common underlying theme of how members of KDE want to shape the world of tech to their vision — the vision of a world in which everyone has control over their digital life and enjoys freedom and privacy. After this year's hot Andalusian sun, Akademy will be moving next year to the heart of Europe: Vienna. See you there in 2018! For most of the year, KDE — one of the largest free and open software communities in the world—works on-line by email, IRC, forums and mailing lists. Akademy provides all KDE contributors the opportunity to meet in person to foster social bonds, work on concrete technology issues, consider new ideas, and reinforce the innovative, dynamic culture of KDE. Akademy brings together artists, designers, developers, translators, users, writers, sponsors and many other types of KDE contributors to celebrate the achievements of the past year and help determine the direction for the next year. Hands-on sessions offer the opportunity for intense work bringing those plans to reality. The KDE Community welcomes companies building on KDE technology, and those that are looking for opportunities. Your browser does not support the video tag, download Wednesday wrapup video. 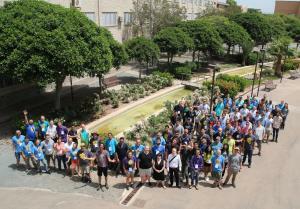 The second day of Akademy BoFs, group sessions and hacking has just finished. There is a wrapup session at the end so that what happened in the different rooms can be shared with everyone including those not present. Your browser does not support the video tag, download Tuesday wrapup video. 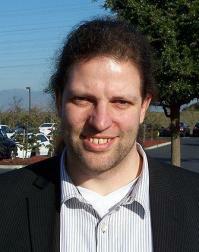 Kai Uwe Broulik for their valuable work on Plasma. 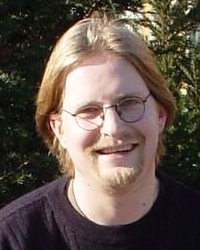 Cornelius Schumacher for their long term contributions to KDE. 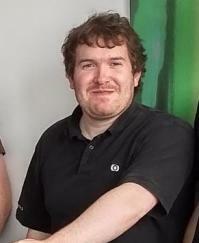 Martin Konold & Olaf Schmidt-Wischhöfer for their work on the KDE Free Qt Foundation. Honourable mentions also go to Lars Knoll and Tuukka Turunen for their work on the Qt side of the foundation which controls Qt's licensing. The organising team were also given a certificate and thanked for their hard work. The organisation has been led by Kenny Duffus who has helped for over a decade making the events appear to run smoothly. The local team have worked hard this year led by Rubén Gómez and Ismael Olea to bring us a fabulous event. Akademy continues for another four days with meetings, workshops and hacking from teams within KDE to discuss their work over the forthcoming year. One final announcement was made at the end of the talks. The location for next year's Akademy was announced to be in Vienna, Lukas Hetzenecker introduced what he assured us was a beautiful and welcoming city.